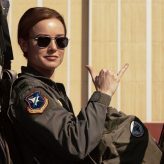 The groundbreaking success is busting down doors for the team that created “Captain Marvel,” and they’re joining forces to ensure that Carol Danvers isn’t the only woman’s story to fly higher, further and faster in the typically male-dictated world of action and genre stories, according to Vanity Fair. ‘Captain Marvel’ makes box-office history, but is it finally enough? 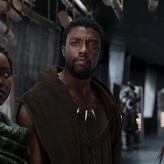 The global launch for the 21st installment in the Marvel Cinematic Universe represents the biggest ever for a female-fronted film — surpassing 2017’s live-action Beauty and the Beast ($357 million) — as well as the second-largest for any superhero movie behind last year’s “Avengers: Infinity War” ($640.5 million). Overall, it’s the sixth-best worldwide debut of all time, and the international opening of $302 million is the fifth-biggest ever ahead of 2015’s “Star Wars: The Force Awakens” ($281 million). 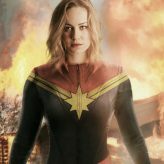 Directed by Anna Boden and Ryan Fleck (“Half Nelson”), “Captain Marvel” is the 21st movie in the Marvel Cinematic Universe and the first to have a woman in the director’s chair (or at least half of the team). The movie chronicles how Carol Danvers becomes one of the universe’s most powerful heroes when Earth is caught in the middle of a galactic war between two alien races. Mimi Leder directing new Reese Witherspoon-Jennifer Aniston series, Geneva Robertson-Dworet to adapt novel ‘Artemis’ for film, and Disney empowering young female filmmakers with global #DreamBigPrincess video series. ‘Black Widow’ movie gains woman director in Cate Shortland, Julianne Moore looking at ‘The Woman in the Window,’ and this year’s Primetime Emmy nominations get more diverse. 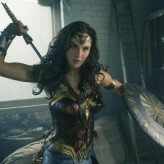 After the record-breaking, critical acclaim-nabbing and audience-thrilling success of “Wonder Woman” finally gave female filmgoers a superhero in their own image, Marvel Studios’ “Black Panther” – starring a black superhero and boasting a largely black cast — opened this weekend to record-breaking, critical acclaim-nabbing and audience-thrilling success. Will it finally be enough to spark real change in Hollywood? Are Hollywood’s sexist ways finally catching up with its box-office prospects? Are Hollywood’s sexist ways finally catching up with its box-office prospects? It’s been a bit of a lackluster summer at the domestic box office, and it may just be that Hollywood’s failure to adapt to the reality that women moviegoers want to see more movies starring women that has at least in part caused its summer blahs. 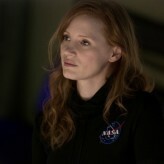 Jessica Chastain stands firm on equal pay, Uma Thurman to lead Cannes’ Un Certain Regard jury, Amy Adams to receive American Cinematheque Award, and ‘Captain Marvel’ gets directing team. ‘Supergirl’ soars to big ratings on TV, while women are still waiting for female superheroes at the movies – and are increasingly asked to settle for female-driven remakes.